Providing apostilles for all UK issued company documents. We legalise documents with the apostille in just 1-2 days. Solicitor certification is also available for most company documents to save you time and money. Why is the Apostille Requested? 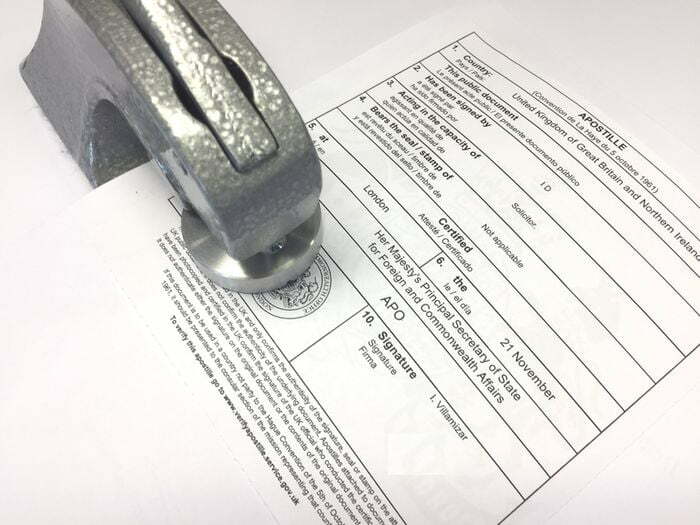 We arrange apostille certificates on thousands of company documents every year. We are registered with the Foreign and Commonwealth Office and provide a quick legalisation service. The following lists provide a sample of common documents we process. However, we can process all genuine UK company documents and not just those listed below. Our experience has helped organisations present company documents all over the world. We often combine documents into packages, provide reduced prices where possible and assist with embassy legalisation subject to requirements. Trusted by some of the UK’s largest companies to legalise their documents. Let us look after your valuable documents.